Home > Holiday at it's Best - Hand Made Silk and Crochet - Matching Sweater - Sold Out! 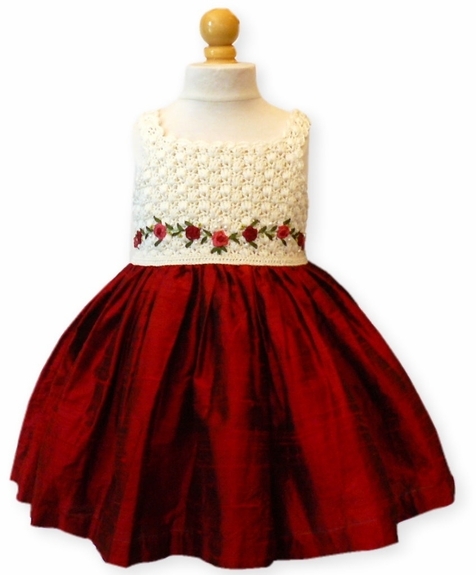 Size: 3-6m(soldout)6m-9m(soldout) This item is currently out of stock! Baby Christmas Dresses Click to Enlarge View ! 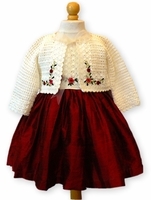 Silk and tulle with embroidery fully lined so will not touch baby's skin. There is no way to describe these dresses. They are Heirlooms - and made with attention to every detail.